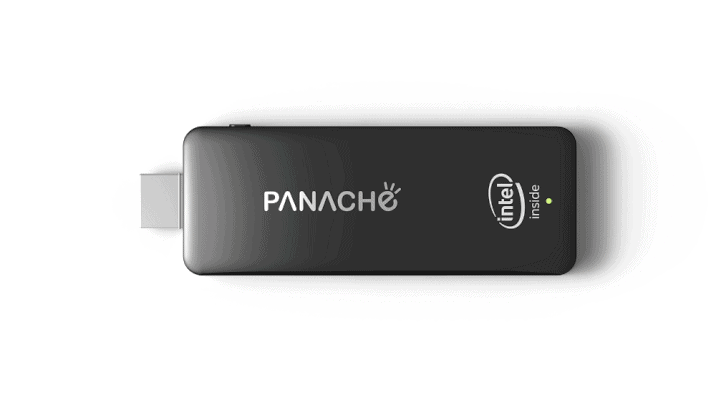 Panache, the exclusive brand of Vardhaman Technology Pvt Ltd, launches “Air PC”, a compact and affordable PC-on-stick device that can convert any LED, LCD or a Projector into a fully functional PC using the HDMI port. With this launch, Air PC becomes the first pocket PC in the world to launch with Microsoft Windows 10 operating system installed in it. Priced at Rs 9,999 (16GB) and 10,999 (32GB) the device comes with a one year replacement warranty. CE and ROHS certified Air PC is the World’s smallest PC that can be carried anywhere and easily fit into a pocket. The fully functional Panache Air PC will revolutionize the way you work and play. The ultra-small, power efficient device is just 10cm (4inch) long, yet packs the power and reliability of a normal PC. “Air PC” is powered by the Intel Atom “Bay Trail” (Intel Z3735F 1.33GHz) quad-core processor along with 2 GB DDR3 RAM, 16GB/32GB in-built memory expandable upto 128GB via a microSD card. It has Wi-Fi 802.11 b/g/n and Bluetooth 4.0 for connectivity, a microUSB & USB 2.0 port for connecting additional peripherals and a micro USB port for power. The Air PC comes with a pre-installed Microsoft Windows 10 and its well protected with one year free subscription of “F-Secure” Internet Security. Vardhaman Technology has also made a tie-up with globally recognized logistics firm for shipment of the product to their customers and also pick-up for any replacement requirements. The company has also increased its distributor base across India and has signed up distributors in cities of Mumbai, Pune and Delhi and roped in distributors for the states of Gujarat, Madhya Pradesh and Kerala. Panache launches Air PC 0 out of 5 based on 0 ratings. 0 user reviews.